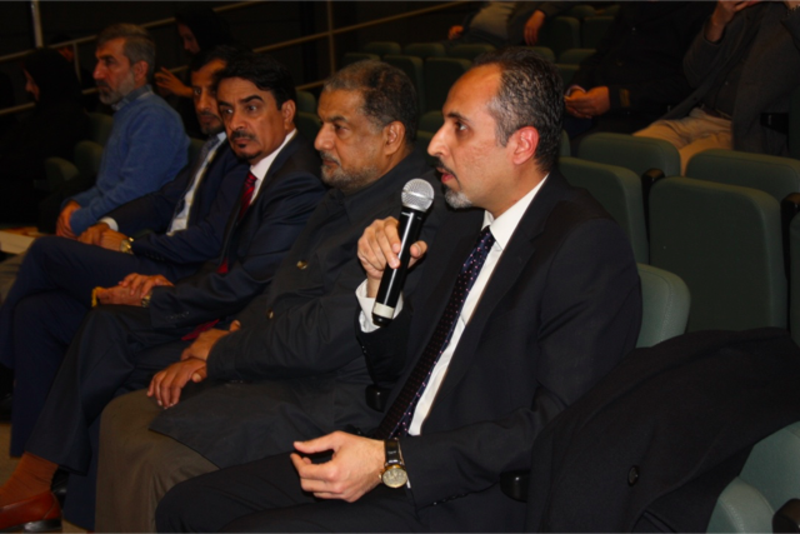 The Arab Cultural Salon at the Islamic Cultural Centre in London held an intellectual talk and book launch ceremony for its sixth gathering of the Salon which was held at the King Fahad Academy in London. 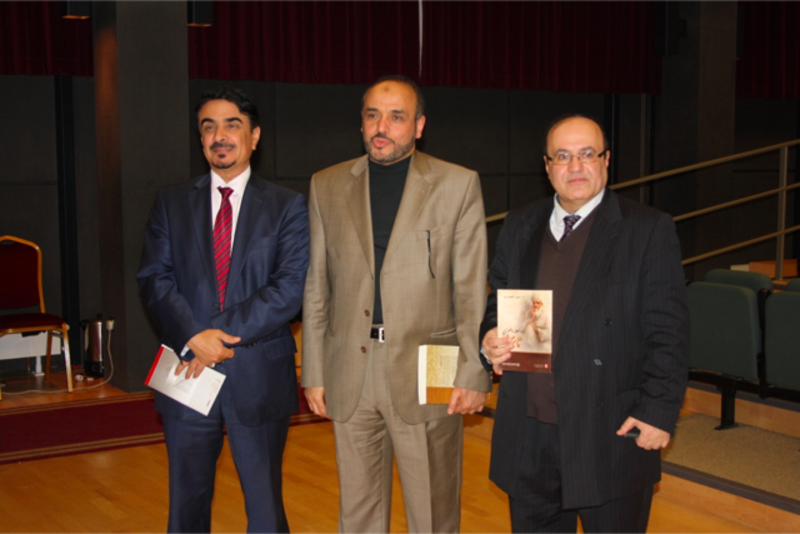 The evening was attended by a number of academics, writers and students and was in celebration of Dr. Nabeel Al-Haidari's new book on Abul 'Ala Al-Ma'arri which has recently been published in Arabic. Dr. Ahmad Al Dubayan Director of the Islamic Cultural Centre & Trustee of the King Fahad Academy welcomed the guests to the event and gave an induction on the life of Al-Ma'arri and his contributions to literature and philosophy. Dr. Al Dubayan then welcomed Dr. Nabeel to the stage to present a talk on his new book and to address the august audience. 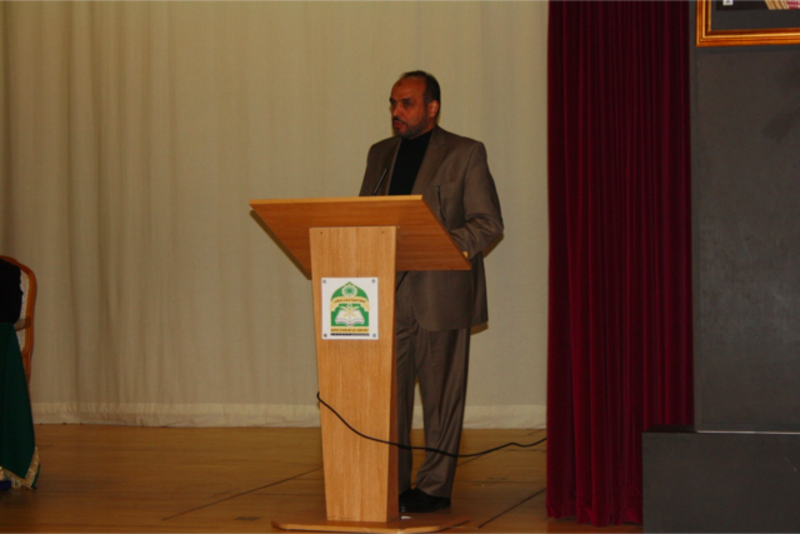 Dr. Nabeel delivered a lecture in which he spoke about biography of Al-Ma'arri and what influenced him to write the book. Dr. Nabeel also read out some poems and lines of the book to give the audience a brief overview of the book. 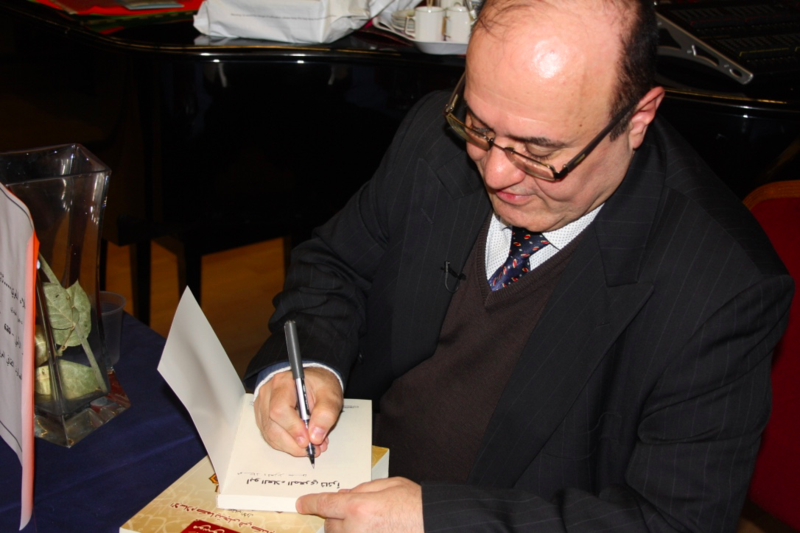 He later provided guests with signed copies of book. The Director General of the Islamic Cultural Centre concluded by stressing the importance of the Arabic Cultural Saloon and its mission in providing a platform for intellectual discussion for youth of Arabic background to embrace the Arab language, culture, history heritage and philosophy. Dr. Al Dubayan thanked the King Fahad Academy's General Director Dr. Othman Alzamil for hosting the Saloon.